Whether it be for entering into the professional folding sector, long-term capacity expansions for your folding production or greater efficiency for industrial job flows – we have the right folding machines for you. 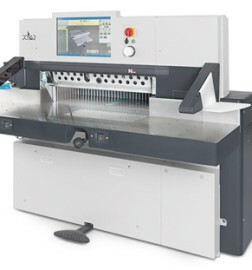 Heidelberg Stahlfolder machines are just the right answer to your specific needs. Your creativity is given free rein. You can fold signatures for book production, commercial prints for marketing purposes and special solutions for customized mailings highly-effectively, either with small or large print runs. Our modular machine concept offers you a wide range of configurations. Choose between buckle plate and combination folding machines, automatic or manual versions and various additional components, such as camera systems, gluing and cutting devices.